Reader Question: My listing went under contract. The seller texted me and asked if I had remembered to exclude the exterior residential flagpole. I had forgotten. What can I do if the buyers insist on keeping the flagpole? This flagpole is the seller’s keepsake. Oh dear, please advise. Thanks. Arissa D.
Monty’s Answer: Hello Arissa, and thanks for your question. The most important business concept to remember at a time like this is that problems are much easier to solve before the closing than after the closing. The first order of business is to inform the buyer of the oversight. I am assuming that the contract in your state defines fixtures; the flagpole fits the definition, and that there were no exceptions listed in the contract. It may be the buyers first order of business after closing will be to get rid of the flagpole, and they will see this as saving money or time to remove it. If that is the case, it may not be a difficult problem to solve. Next, determine the cost to replace the flagpole. The size and construction of the pole were not clear. Flagpoles are constructed with a variety of materials, and those materials have a considerable affect on the cost. Inspect the pole and question the seller about the construction and the length of the pole. If it can be tilted to the ground, it is best to measure it. A used flagpole may be found at a recycling plant (they used to be called junkyards). 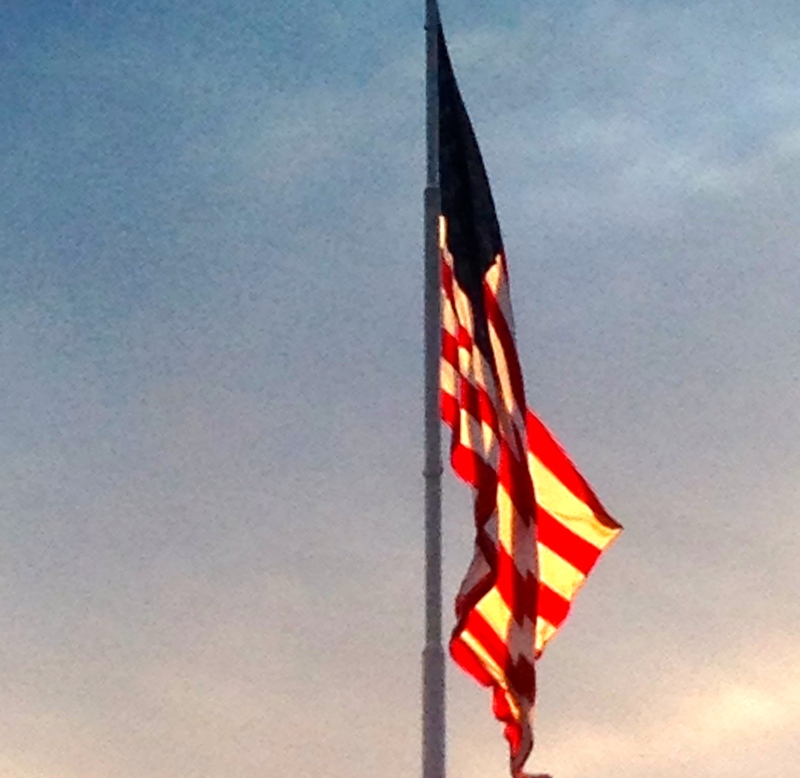 There are numerous websites and local companies that will know what a new flagpole costs. Finally, I would look to the to the seller. It is surprising how often a seller will part with a keepsake when it is not as easy to haul away as a teacup. 1. Become a hero and pick up the cost as it was your error. 2. Negotiate with the seller. There is probably a price at which the keepsake will become a marketable asset. Money was saved if their price is less than the replacement. 3. Negotiate with the buyer. Again, there is probably a price at which they can replace the flagpole or just accept some concession. 4. Ask your broker and co-operating agent if they will participate with you in a cost-sharing arrangement. They may have experienced a similar oversight in the past and have empathy toward your predicament. The very best and easiest solution for everyone involved is for the seller to receive something of value to replace the keepsake. There is no manual labor involved, no issues about the replacement pole being of lesser quality, no potential delays or workmanship issues with the new installation (or removal). But, the seller may still be determined to take the pole with them. The next best solution, if the seller is adamant, will be to agree on a dollar amount for the cost of a replacement pole and installation and hand the buyer a check at closing. Let them buy the pole and arrange for the installation. They can then control the quality of the pole and the installation. The least favorable solution is managing the purchase and installation of a new pole. It has to be managed carefully with a written addendum explaining what is to be done, who is to do it, how it will be installed, who will bear the cost, who will sign off on the pole and when the job is to be completed. The solution should be documented in writing to perfect the contract of sale. Work to keep all parties from overblowing the situation. By admitting you erred, you can be calm and guide the transaction to a positive closing. There will be a good feeling by all with how the problem was managed. The repair of this simple oversight is a good idea and a good lesson. By shining brightly in this situation and doing the right thing, where some agents may take a different path, you demonstrate the professionalism of your service and your business ethics.